After a tough loss to Milwaukee Friday night, the Nationals (33-30) seem to have gotten back on course over the weekend. Even without Ryan Zimmerman, the Nats took two straight from the Brewers, with Max Scherzer putting the exclamation point on the weekend with his one-hit, 16-strikeout performance on Sunday. 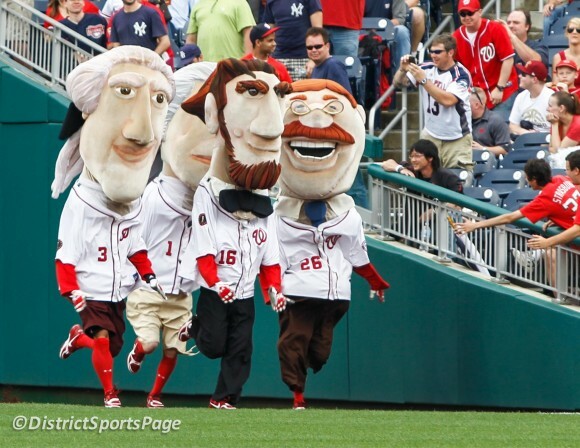 The Nationals’ course correction might have happened just in time. They begin a tough 10-game stretch with four games against the Tampa Bay Rays (35-29), with the first two of those games taking place in Florida and the second two in Washington. After the Rays, the Pirates and the Braves will pay visits to Nationals Park, making it three straight opponents that are in the hunt. Of course, the Nationals are in their own chase, as they’ll start the series with Tampa a half-game behind the Mets, who open up their own home-and-home series with the Toronto Blue Jays on Monday. 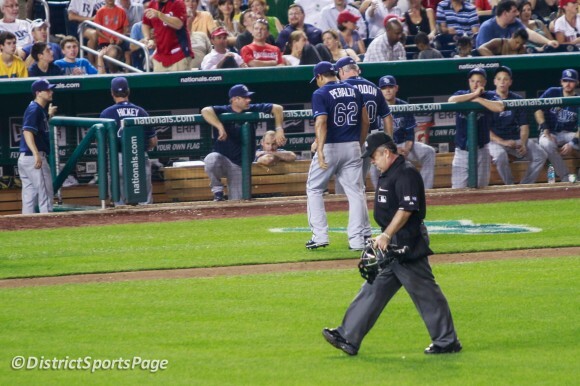 The Nationals and Rays haven’t played since June, 2012. 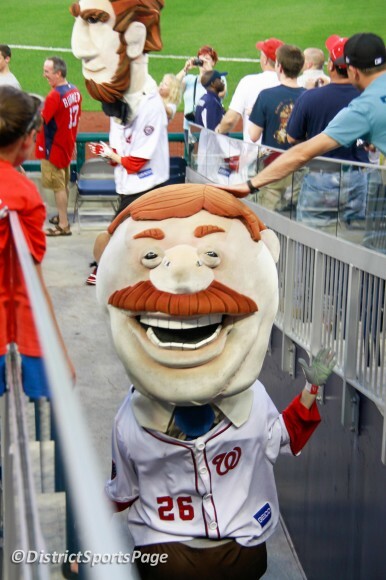 The Nationals took two out of three in a series notable for the fact that a young (er?) Chris Archer made his major league debut. Archer was tagged with the loss in the second game of the series, but he pitched well, giving up just one earned run in six innings, striking out 7. If you haven’t been paying much attention to the Rays this year, well, who can blame you? They lost Joe Maddon to the Cubs, they have no recognizable hitters other than Evan Longoria, and they weren’t expected to do anything this year. Led mostly by some stellar starting pitching, though, the Rays are a team that a lot of people have started to take notice of. Tampa is tied for first in the American League East, and they come into this series with Washington on a three-game winning streak. There aren’t many players in this series who have faced each other all that much professionally, but one line that stands out is Yunel Escobar’s 4 for 7 against Erasmo Ramirez, including a double. Ramirez starts against Washington Monday night. In my piece for MASNSports.com today, I re-examined the war of words over the “unwritten rules” of baseball that Tampa Bay Rays manager Joe Maddon apparently thought Washington Nationals skipper Davey Johnson broke when Johnson asked for the written rules of baseball to be enforced Tuesday night. The first three Washington Nationals hitters against Tampa Bay Rays starter Chris Archer — making his MLB debut — all scored, setting a tone for what looked like a laugher at steamy Nats Park Wednesday night. But Archer settled down, the Nats bats never reawakened, and they left the heavy lifting to their ace, Stephen Strasburg. Washington Nationals starting pitcher Chien-Ming Wang was pushed around by the Tampa Bay Rays, allowing five early runs before departing after just 3 1/3 innings pitched, as the Nats dropped a 5-4 decision before 27,835 at Nats Park.